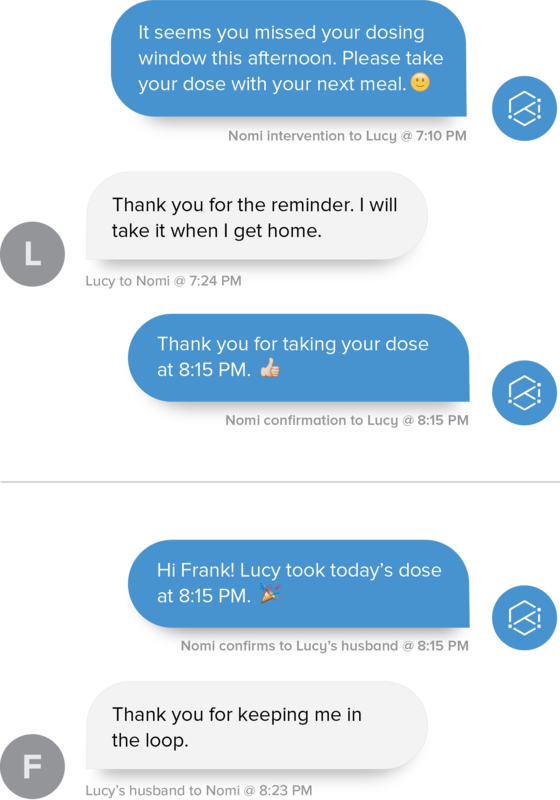 For the first time, Nomi provides an automated medication adherence solution to monitor behavior and give intervention insights, in real-time. There’s no clearer way to identify patient behavior and improve patient outcomes for your organization. 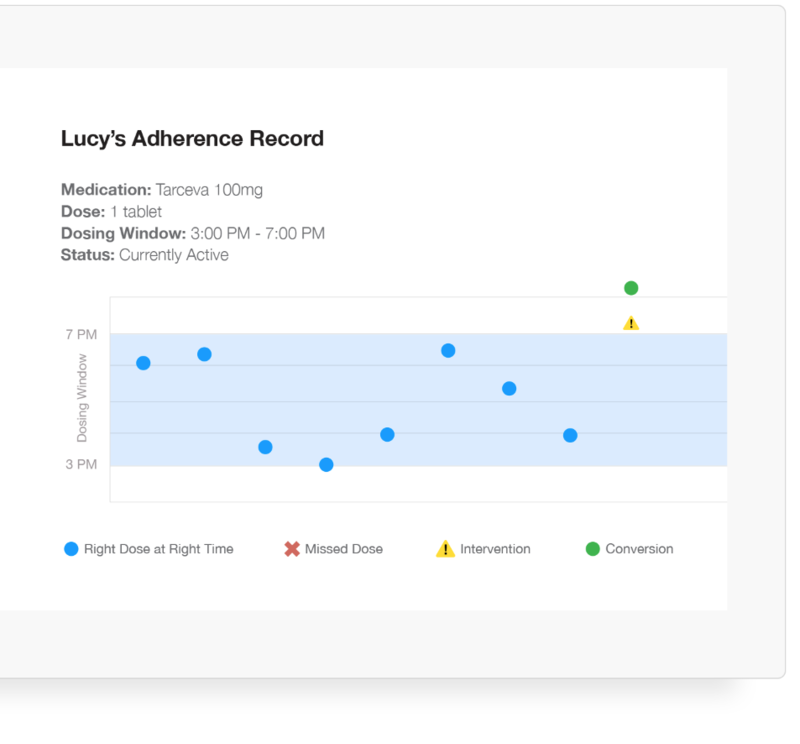 Nomi's sensor precisely knows how much medication is taken and when. Located inside a bottle, the sensor accurately measures patient adherence by medication weight, time, movement, and temperature. The data is available instantly to clinicians and family members. There is no patient setup. Nomi is connected the moment the pharmacist fills the prescription, without the patient lifting a finger. Nomi’s sensor automatically communicates adherence data using Verizon’s nationwide cellular network. There’s no cord to untangle, Wi-Fi to connect, Bluetooth to pair, or application to set up. Nomi helps patients take their medication. Using actual patient behavior for analysis, Nomi communicates to reinforce positive behavior and identifies and corrects non-adherence before it is too late. If further interventions are needed, Nomi can prompt families and care teams to provide additional patient support. Exclusive to Nomi, Absolute Adherence™ is a proprietary methodology to score medication adherence accurately. It’s the newest, most precise method to reveal if patients are following their treatment, down to the dose amount and time. We took the necessary steps required to introduce new technology in healthcare. Nomi is HIPAA compliant to meet your security requirements. Nomi is an FDA Class 1 registered device. The sensor is certified on Verizon's network. The sensors and software are built in the U.S. Improve medication adherence at your organization to avoid preventable costs, enhance revenue, and boost productivity. Learn how Nomi coordinates patients, families, care teams, and organizations for more accurate insights into patient adherence.